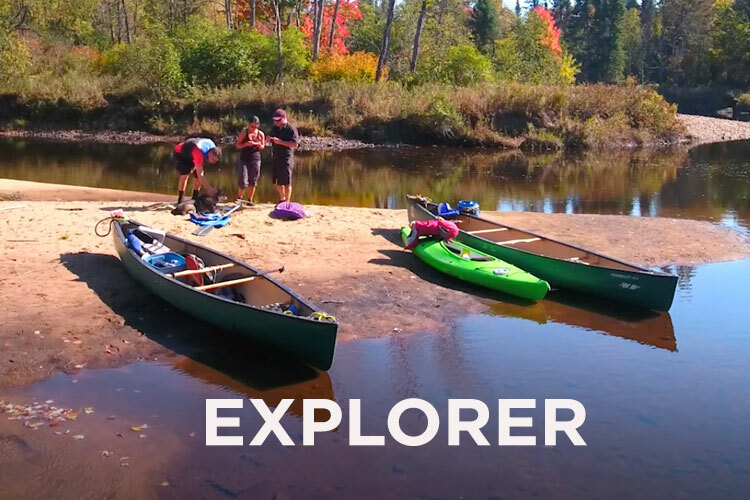 Whether you are a novice or a veteran, the Rivière du Diable offers a variety of river sections accessible to all. You will have access to several sandy beaches no matter which section you choose. The river section begins right behind the building where we greet you and your return is by shuttle bus. This section of river is winding whitewater perfect for *beginners-intermediate, nature lovers and families. *Depends of the season and the water level. Take our shuttle to the starting point on the river. Your trip ends at our reception office. 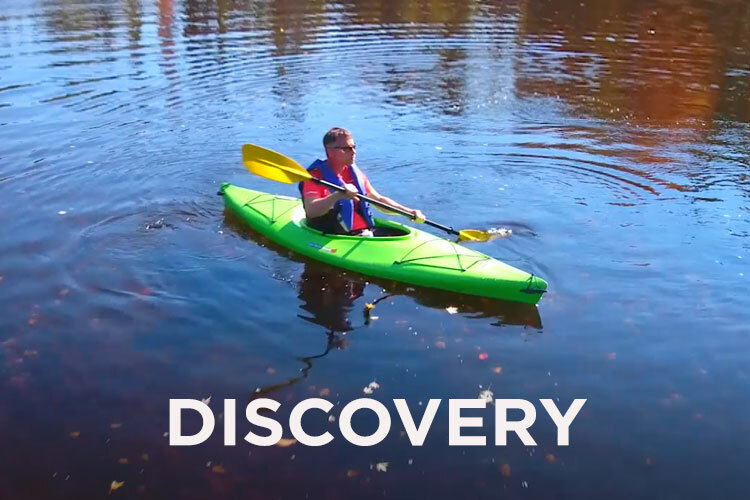 Set off for an outdoor adventure on this peaceful section of the river (it has some whitewater) to discover the region’s diverse wildlife. Follow this easy-to-moderate trail at your own pace, with friends or family. Departure everyday at 10 AM only. Take our shuttle to starting point and from where you exit the river. 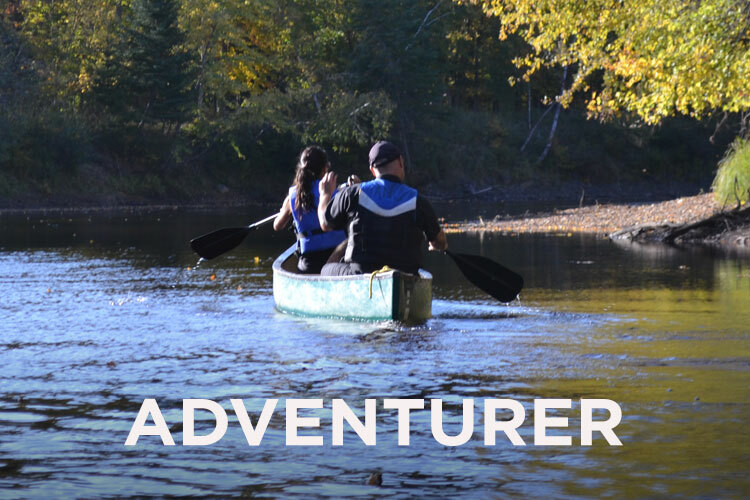 Explore the complete itinerary to ensure you do not miss out on any of the beautiful wilderness that the Rivière du Diable has to offer. You will have the opportunity to appreciate all the charms of the DISCOVERY and ADVENTURER sections. NB: You are welcome to enjoy a short break at the À L’Abordage site, which is located at the halfway mark of the offered river sections. You can book online 24 hours in advance. For same-day reservations, call us directly at 819 322-1234 from 9am (High season) or from 10am (Low season). Book your package online or by phone at 819 322-1234 or online using a credit card. Check-in with our staff to receive safety instructions and to learn basic canoeing and kayaking techniques. Set off on the shuttle bus or directly from the reception office, depending on the package you chose. 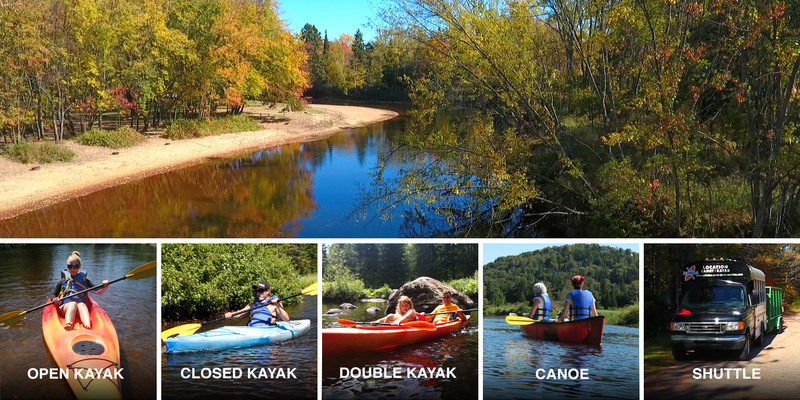 Paddle down the Rivière du Diable (without a guide). The trip duration may vary depending on the river’s flow and your pace. If you have chosen the Discovery or Explorer packages, your shuttle time will be confirmed when you book. Personal Flotation Devices (PFDs) must be worn at all times. You must be entirely self-sufficient during the trip downriver. You are therefore responsible for your own safety. We have river sections for all levels of experience, but we suggest you ensure that at least one member of your group has some experience should it be your first time. Watercraft legislation prohibits alcohol consumption. * Canoes can carry a maximum load of 600 lbs. However, for your own safety and depending on the river level, the number of people in each canoe is at the discretion of reception desk staff. Dogs are welcome on the shuttle buses and in the canoes accompanied by their conscientious owner.